Penkraft concept of 'course in a box' means that everything that you need for undergoing a course, be it in art & craft, handwriting improvement, Abacus or calligraphy, is included in the box. The box thus consists of the coursebook, the course schedule, practice books, and equipment such as the calligraphy nibs, pens, pencils, etc for the particular course. 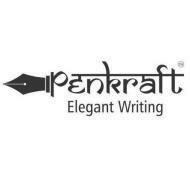 Penkraft has been established to create awareness, promote, train, coach people of all ages in the field of Handwriting, Calligraphy, Art & Craft. Penkraft conducts classes in Abacus, Art and Craft and Calligraphy. It is located in Thane West, Thane. It takes Regular Classes- at the Institute.